Celebrate baby’s first Christmas with Sheridan Baby, and choose the perfect gift for your precious little one. If you’re keen to splash out on a little bit of luxury for the baby in your life this Christmas, you’re in luck! David Jones and Sheridan have combined their talents on this excellent offer for lovers of Australia’s favourite homewares brand. 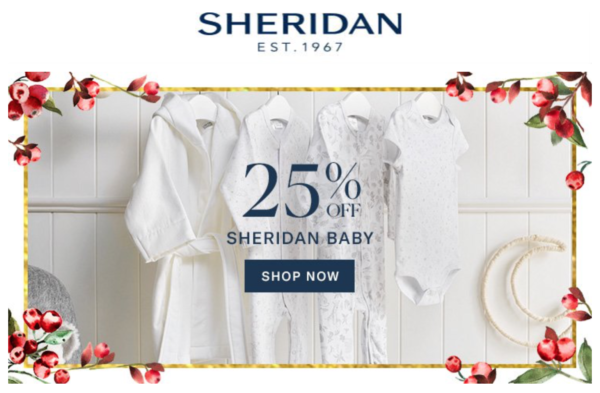 Until the 17th December, you can receive a super generous 25 percent off selected items in the Sheridan Baby range when you shop at David Jones. 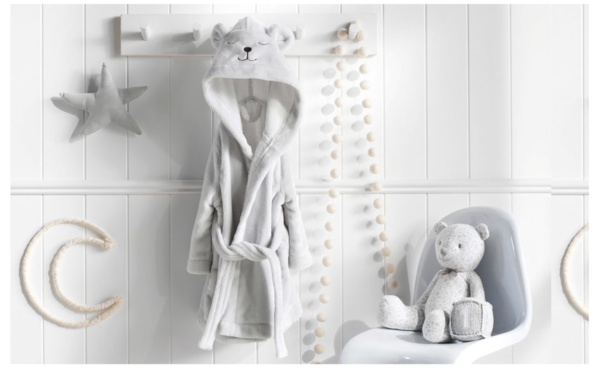 Snap up a cuddly Hugsie Baby Bath Robe. It features a sweet bear hood – complete with the cutest ears ever – and is guaranteed to keep your little one cosily bundled up. This robe comes in three sizes and every single one of them is crafted for cuteness! 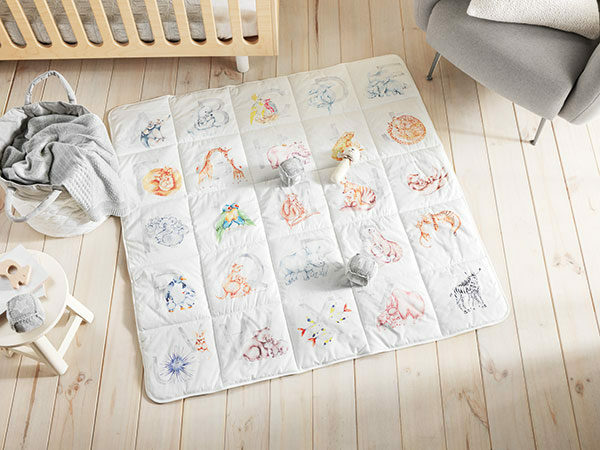 There’s lots of other beautiful Sheridan Baby products to choose from at David Jones. And it’s very good to know that the very convenient Afterpay is available on these purchases, too! So make your favourite baby’s first Christmas extra-special, with a little bit of help from Sheridan Baby. Shop – and save with Sheridan Baby and David Jones – now. Save 25 percent on Sheridan Baby – Offer is available in Australia only at David Jones stores and www.davidjones.com.au from Monday, 4th December 2017 to Sunday 17th December 2017 (offer ends online Sunday 17th December 2017 at 11:59pm AEDT). Discount is off RRP. Not to be used in conjunction with any other offer. Available while stocks last. Designs, sizes and colours available may vary between stores and online.